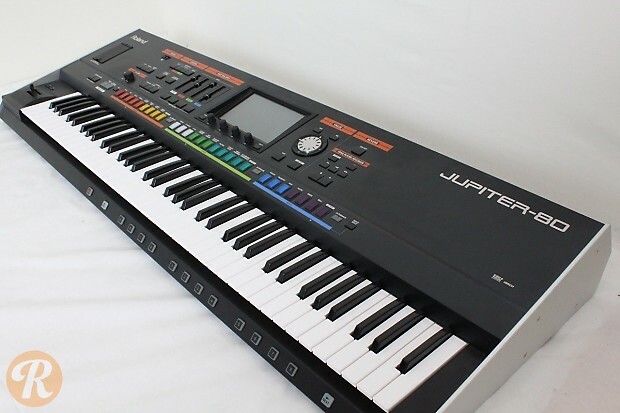 The Jupiter 80 is related to the original analog Jupiters in name and appearance only, instead being a powerful sample-based workstation and virtual analog synth. 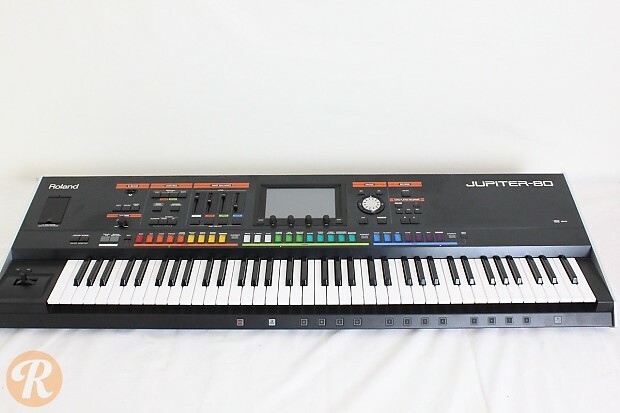 Combines Roland's superNATURAL acoustic instrument modeling with tons of presets based on classic Roland synths of the past. A large touchscreen adds modern convenience to patch editing and creation.